Seating at performances is General Admission. There are no assigned seats. Reserved Seating – Chairs are provided for patrons in reserved seating and can be reserved in advance. Group Seating – The group sales section enables groups to sit together at performances without having to save seating on the lawn. Space in this section is limited and must be reserved in advance through our group sales department. ADA Seating – Tall chairs are provided for patrons who need special accommodations. Seating in this section is assigned, and we recommend it be reserved in advance. General Admission (Blanket Only) – The Northeastern section of the lawn is general admission for patrons with blankets. No chairs are allowed in this area of the lawn. 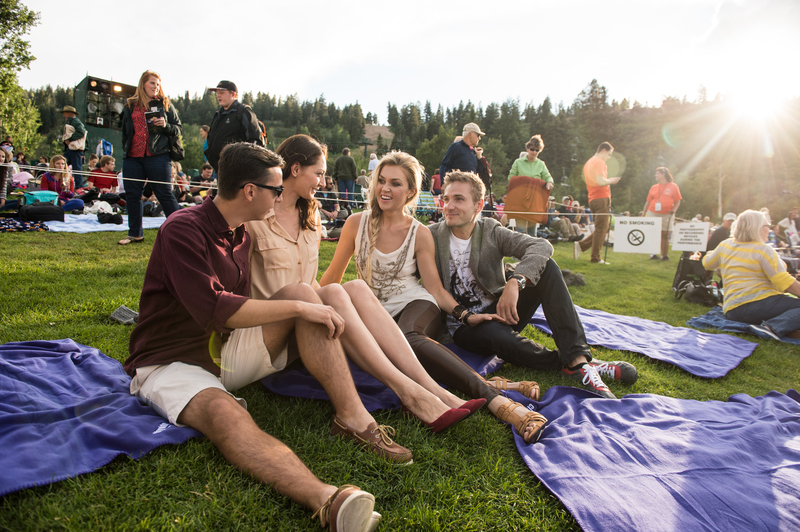 General Admission (Blankets or Chairs) – The Western and Southeastern section of the lawn is general admission for patrons with blankets or low chairs. 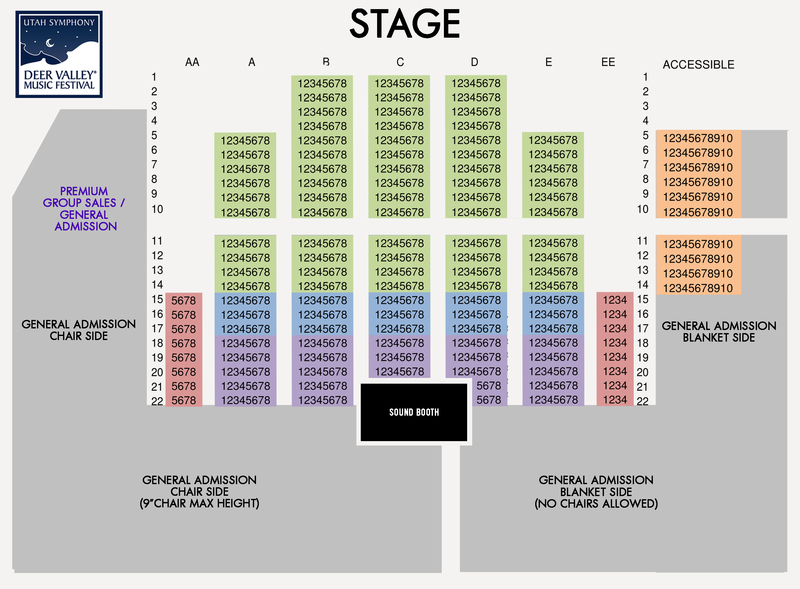 No chairs with seats higher than nine inches from the ground will be admitted to the venue for use in general admission. Chairs are provided in the reserved and ADA seating sections. Outside chairs can be brought in and used on the west side of the General Admission section, but must be low chairs that are no higher than 9” from the ground. A limited number of chairs are available to rent at the venue. These will sell out early for popular performances.